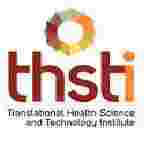 Haryana THSTI Scientist recruitment 2016-17 notification apply for 03 posts : Translational health science and technology institute (THSTI) welcomes application for the position of 03 Scientist vacancies. Candidates who completed their PHD is a good opportunity.The individuals who are the occupation seekers searching for govt employments in Haryana this is the best chance to apply. Competitors read the official notification then read all the guidelines and miners precisely then apply before the last date online application got. All the interested and eligible candidates can apply online before 12th August 2016. Candidates Age Limit: The age of the candidate should be 50 years. Academic Qualification Details: Candidates should have highly motivated scientist with Ph.D. in biotechnology / proteomics / bio-informatics and with 8 year of overall work experience with strang background and relevant experience in the fieldof proteomics and high resolution mass spectrometry. Details of Fee particulars: All the interested and eligible candidates are need to pay Rs 100/- through demand draft drawn in the favor of translation Health science and technology institute payable at Gurgaon. Schedule caste categories candidates (SC) / Schedule tribe categories candidates / Person with disabilities categories candidates / women categories candidates are exempted from the payment of fee. Process of applying for the job: All the interested and eligible candidates can send the print out of online application along with self – attested copies of relevant documents / CV and DD to head administrative translation health science and technology institute, NCR biotech science Cluster, 3rd Milestone, Faridabad, Gurgaon Expressway, P/ Box no 04, Faridabad:- 211001 on or before 19th August 2016. Important Dates: All the interested and eligible candidates can apply online before 12th August 2016.